These clips have been recorded by Paul K from France. Kit originally supplied with a TAD 12AX7 and Russian 6L6 . Valves installed = Tung-Sol 12AX7 / KT88. Recorded from Shure SM-57 microphone into Garageband on MacBook. 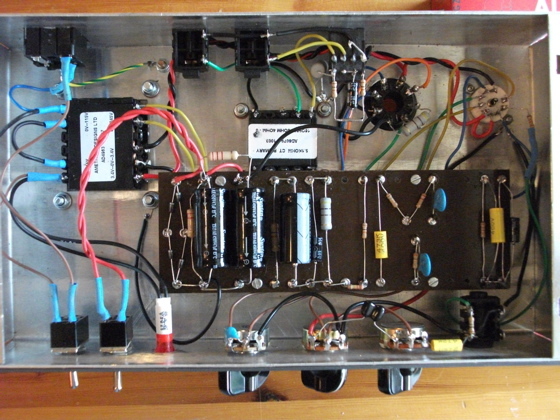 Build and wiring by Paul K in France.